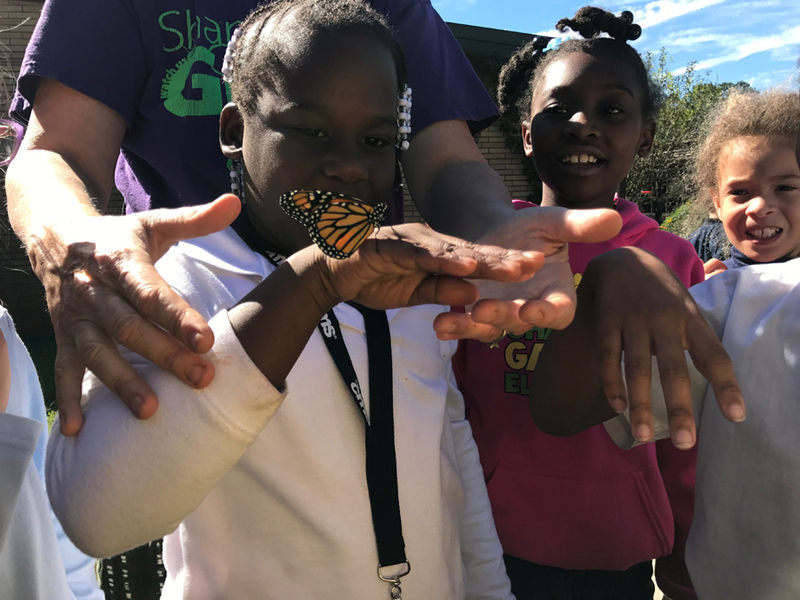 Third and fourth graders tagged monarchs and sent them off to Mexico. 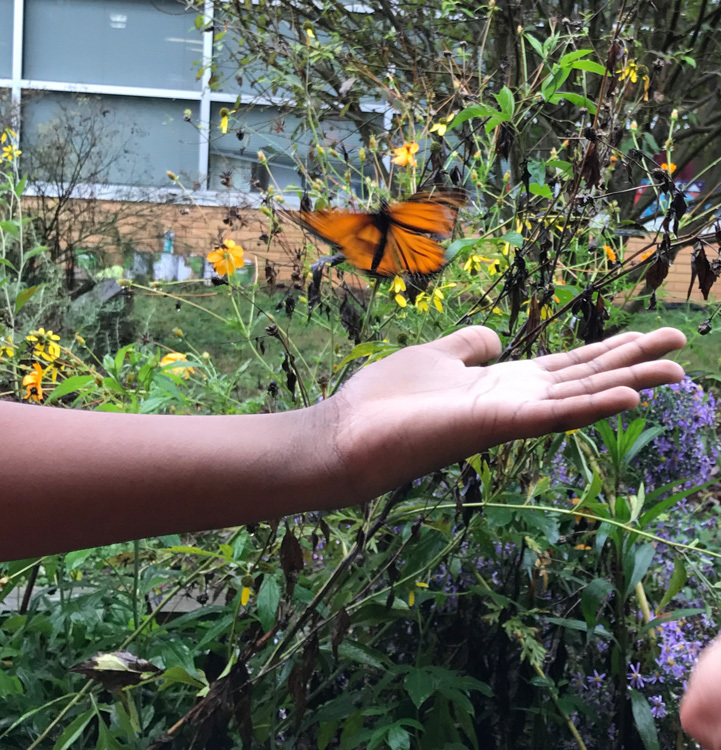 Student photographers captured the action. 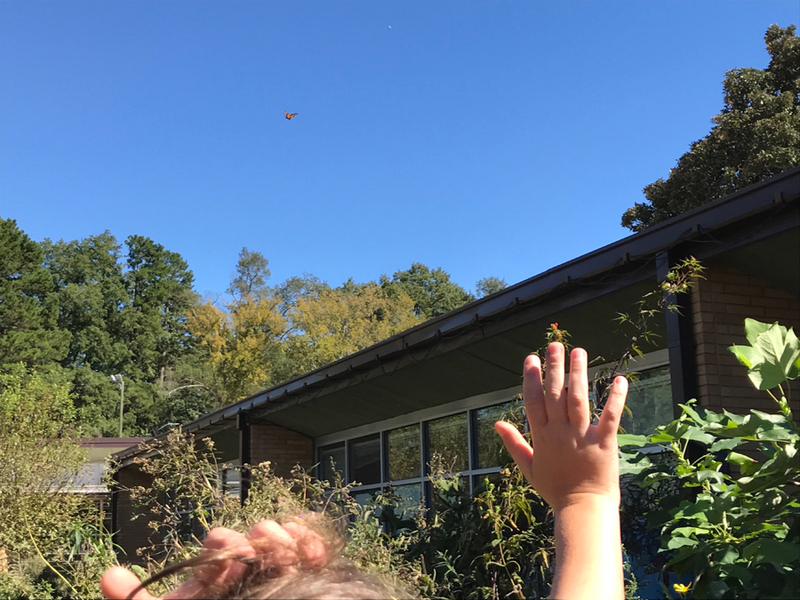 Kindergartners released their first Gulf Fritillaries. 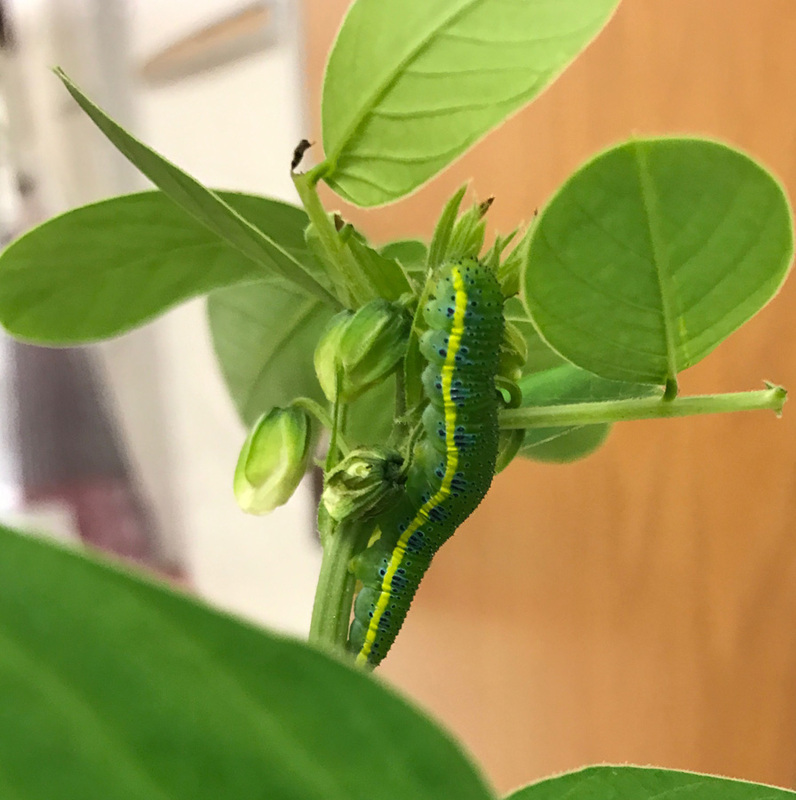 Second graders got Sulphur caterpillars to raise, including a beautiful Cloudless Sulphur discovered on a senna plant that morning. 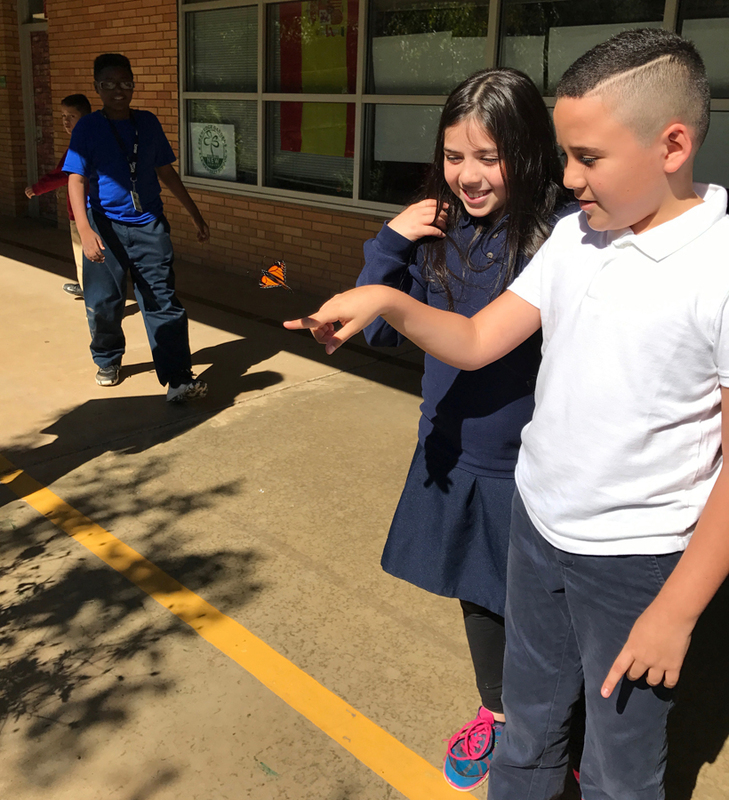 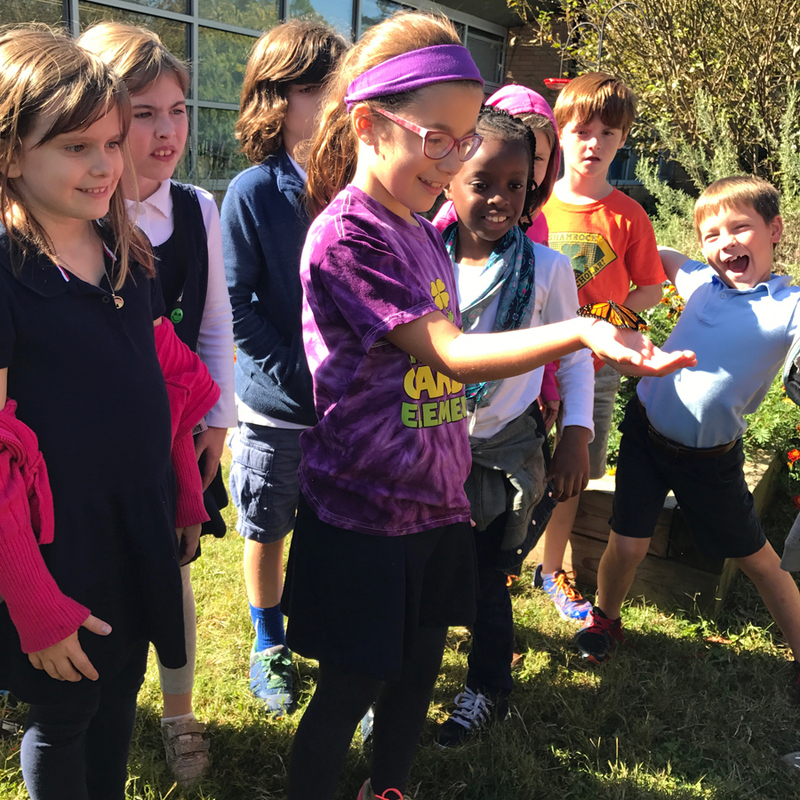 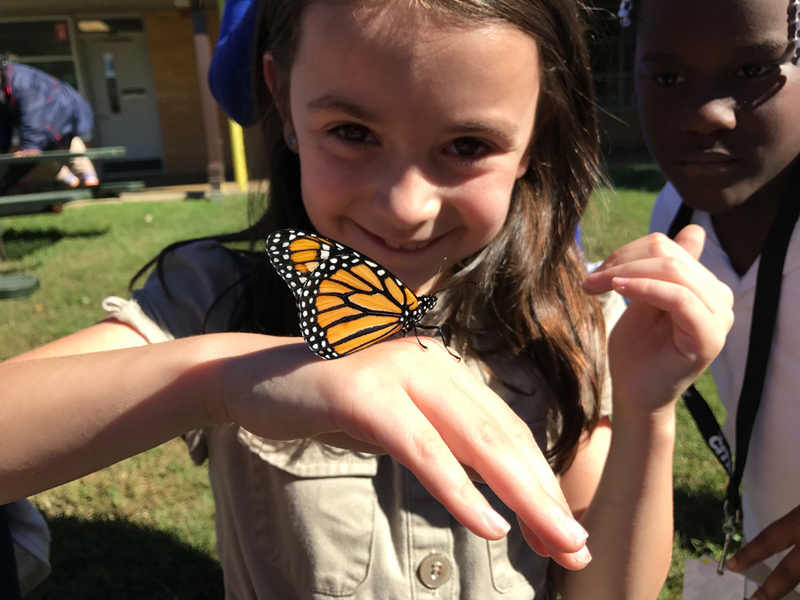 Third graders learned about Monarch migration and explored the main butterfly garden. 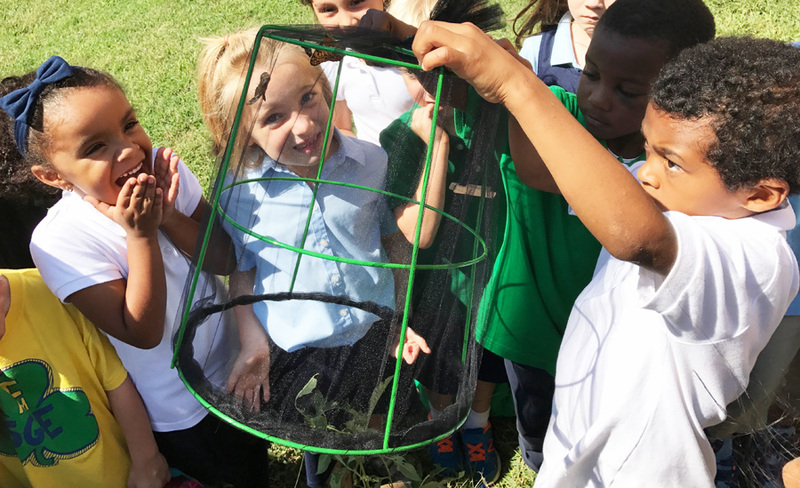 All but one of the Luna Moths being raised by fifth grade and preK classes have settled into cocoons.